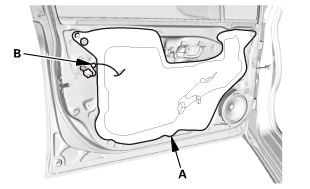 Remove the center lower channel (A). 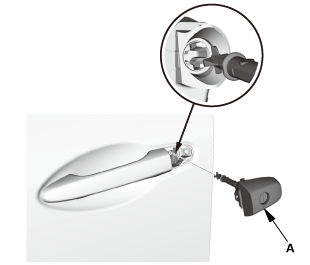 Remove the plug cap (A) and the bolt (B). Remove the door lock cylinder (A). 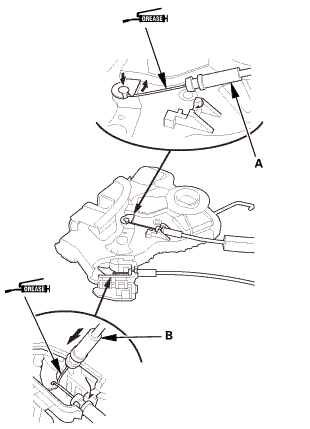 Release the rod fastener (A). 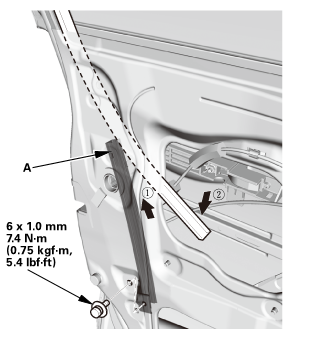 Disconnect the outer handle rod (A). 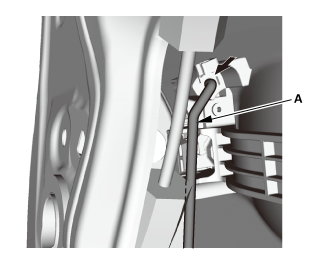 Detach the cable clip (A). 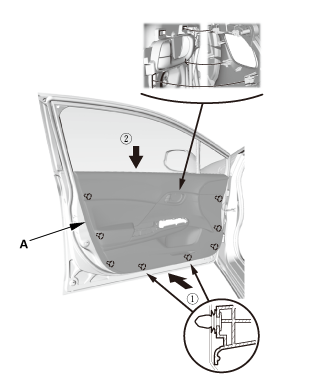 Open the latch protector (A). 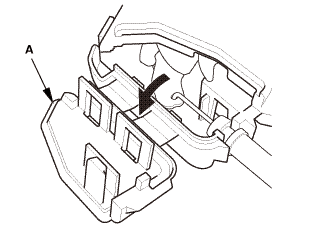 Disconnect the latch cable (A) and the inner handle cable (B). 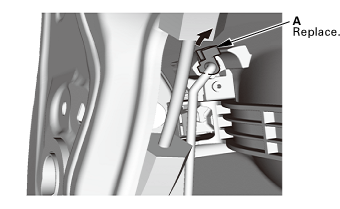 Connect the latch cable (A) and the inner handle cable (B). 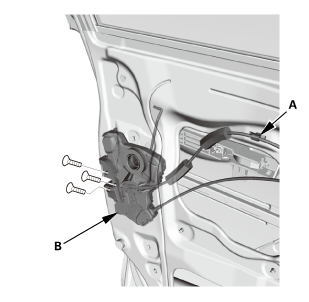 Note: If a dealer needs to replace the latch cable or the inner handle cable grease must be applied to the cables as per (S/B12-016). 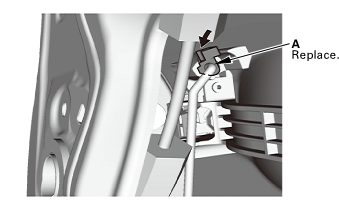 Please use Dow Corning 111 valve lubricant & sealant. 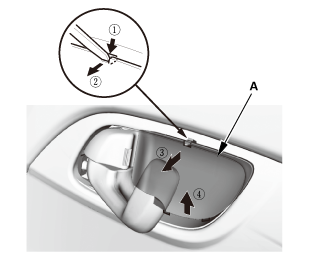 Close the latch protector (A). 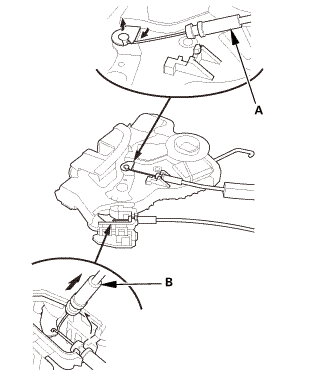 Attach the cable clip (B). Connect the outer handle rod (A). 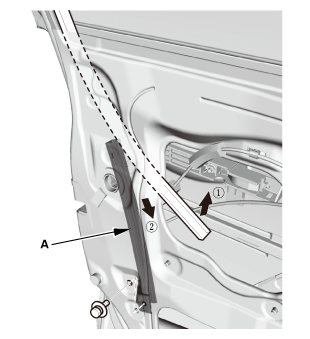 Install the rod fastener (A). 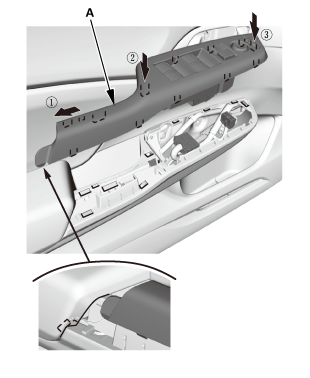 Install the door lock cylinder (A). 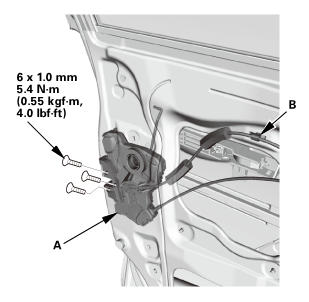 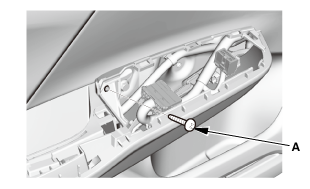 Install the bolt (A) and the plug cap (B). Install the center lower channel (A).